Staying at hotels sunset strip los angeles means you’ll be close to all the best spots in the city. If you’re looking for a great place to enjoy cocktails or to grab a bite to eat, you’ll find plenty of great placed all throughout Los Angeles. If you’re in the West Hollywood area, with friends or that special someone, check out some of these rooftop restaurants West Hollywood. E.P. & L.P. features a stylish rooftop bar that is the perfect place for drinks with friends. Downstairs you’ll find a full indoor dining room serving up Southeast Asian cuisine. The rooftop space is actually one of the largest roof decks in all of Los Angeles. Enjoy hand crafted cocktails or simply sip on a glass of wine as you sit at the outdoor firepits. There’s also a menu featuring small bites if you are looking for a snack. The rooftop is open daily until 2am so stop by today! Atop the 22nd floor of the Hollywood Proper Residences, you’ll find Filifera, Hollywood’s highest rooftop bar and lounge. Here, you’ll find an indoor bar accompanied with an outdoor lounge featuring sweeping views of Los Angeles below. From the heights of the lounge you’ll see the iconic Hollywood Sign, the Griffith Observatory and the Capitol Records building. 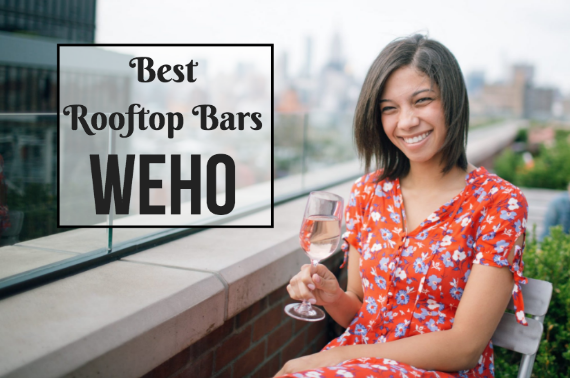 This rooftop bar and lounge is open to the public every evening. Conveniently located in the heart of West Hollywood you’ll find Pearls right on Sunset Blvd. With rooftop dining seatings and specials throughout the week, you’ll always have options at Pearls, making it a great destination on any night of the week. On Tuesdays you’ll enjoy Dollar Oyster Night, wednesdays enjoy Lobster Night, Thursday is Wine Not? And on Friday enjoy a special lunch option for just $10. Brunch is also offered on weekends, so be sure to enjoy the mimosas!